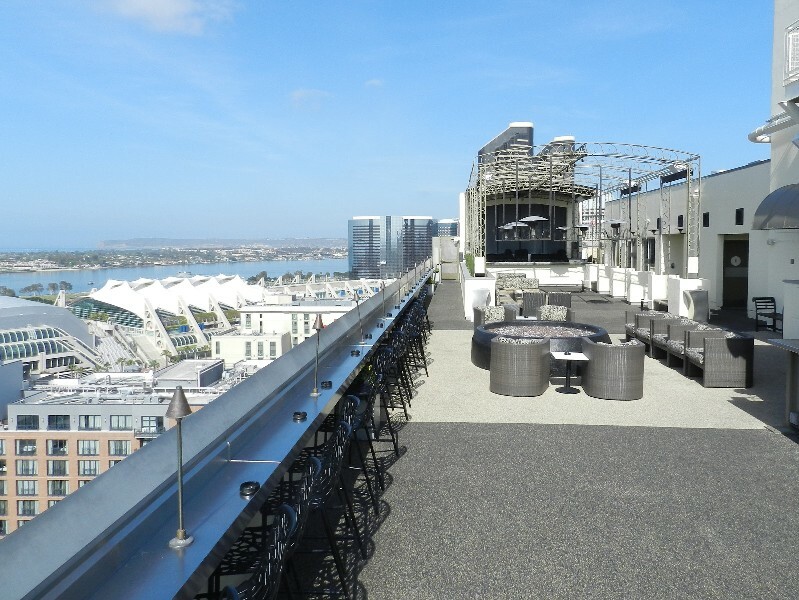 The San Diego Marriott Gaslamp Quarter hotel is famous for its rooftop bar, the ALTITUDE Sky Lounge, which overlooks the Padres baseball stadium and the San Diego Harbor, attracting fun-loving people from near and far. 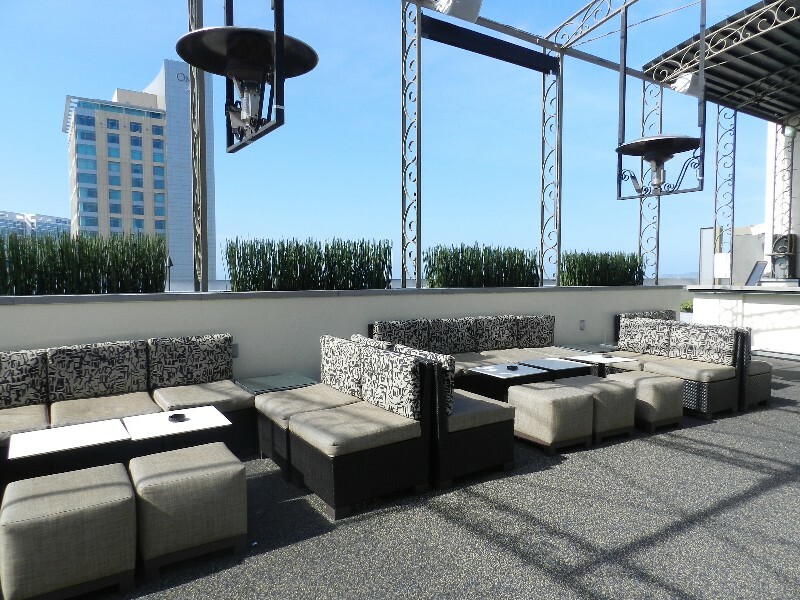 The new Rubberway multi-purpose surface installed on the rooftop of the Marriott provides an elegant floor fitting for the high-class lounge. It features a custom blend of colors selected to fit with the current furniture and ambiance and provides sound dampening to the floors below. This sustainable Rubberway surface replaces our previous rubber surface that was in place for ten years. For this highly used rooftop surface with heavy foot traffic, we recommend standard cleaning with sudsy soap as well as the use of a fresh coat of sealer every 18 months to preserve longevity and to keep the surface looking new. The Rubberway system can be custom-designed to meet any surfacing needs in a sustainable, elegant way.